BALTIMORE (CN) – Attorneys for Adnan Syed, who is currently serving life in prison for the 1999 murder of his high school girlfriend, told Maryland’s highest court Thursday, Syed deserves a new trial because ineffective counsel led to the omission of eyewitness testimony that could have vindicated him. Syed’s conviction was chronicled in 2014 when NPR debuted the podcast “Serial.” The first season focused on the murder of Hae Min Lee, Syed’s high school sweetheart, who went missing in 1999 and was later found in a shallow grave in Baltimore, Maryland. Syed was convicted strangling and killing Lee’s in 2000 before burying her in a local park, but he has maintained his innocence for nearly 20 years. 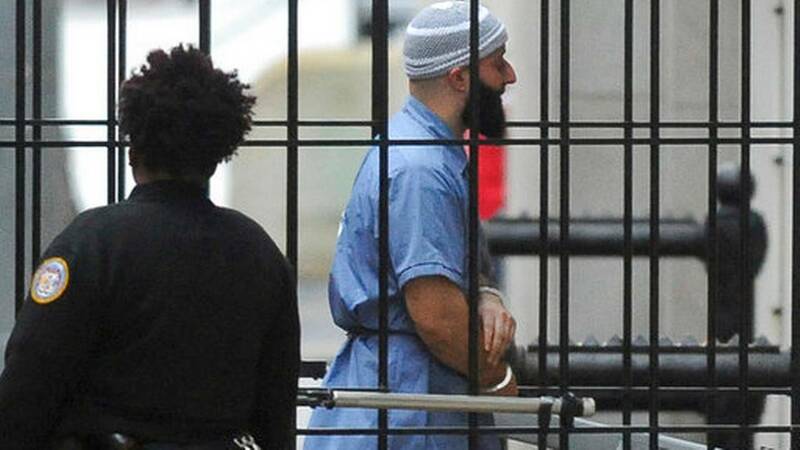 On Thursday, a panel of seven judges at Maryland’s Court of Appeals considered Syed’s case yet again. It is the third time the matter has come before a court: two years ago, a judge in Baltimore vacated Syed’s conviction citing ineffective counsel and a new trial was ordered. The State of Maryland appealed the ruling but the Maryland Court of Special Appeals upheld the lower court’s decision. The state appealed again, this time arguing the U.S. Constitution does not require attorneys to pursue every piece of evidence presented to them. There’s no dispute, he said, that Syed’s trial lawyer, the late Cristina Gutierrez, never attempted to contact witness Asia McClain – a former classmate of Syed’s who now goes by Asia McClain Chapman — who claims to have seen him in a library at the time of the murder. But prosecutors believe if Gutierrez wanted to use Chapman’s testimony, she would have, Vignarajah said. But Syed’s lawyers argue that Gutierrez’s knowledge of McClain’s story is crucial to their bid for a new trial. Only incompetent representation would have led her to disregard a witness who could provide her client with an alibi. When it comes to “reasonableness,” Syed’s attorney Catherine Stetson argued Thursday, the state isn’t playing fair with its position. Video footage from the library could have corroborated what Syed was doing, but it was never sought, she added. This is basic American Bar Association standards of practice, Stetson said. “You can’t make a reasonable decision about what trial strategy you’re going to engage in without calling an alibi witness and asking if that testimony is going to help your case,” she said. Even the Maryland Court of Special Appeals indulged this in their own opinion by saying there was “no reasonable basis to justify the failure to call [McClain],” Stetson said. “Was it objectively unreasonable for Gutierrez to not just pick up the phone and call? The answer to that, quite plainly, is yes,” Stetson said. On rebuttal, Vignarajah said there were “fatal flaws” in McClain’s alibi. “A reasonable attorney would have interpreted the alibi as an offer to lie,” Vignarajah said noting that Gutierrez may have thought the alibi would hurt Syed and that is why she omitted it. But none of this is about McClain or her integrity, Stetson argued. “Even if the counsel thought [McClain’s statements] were, on their face, deficient, counsel had an obligation to pursue her and other witnesses,” she said. Precedent established in a similar case in the 6th Circuit, Montgomery v. Peterson, supported that. Stetson quoted the ruling in that case for judges: “‘It doesn’t matter if the attorney thinks they’re lying. You make the call,” she said.